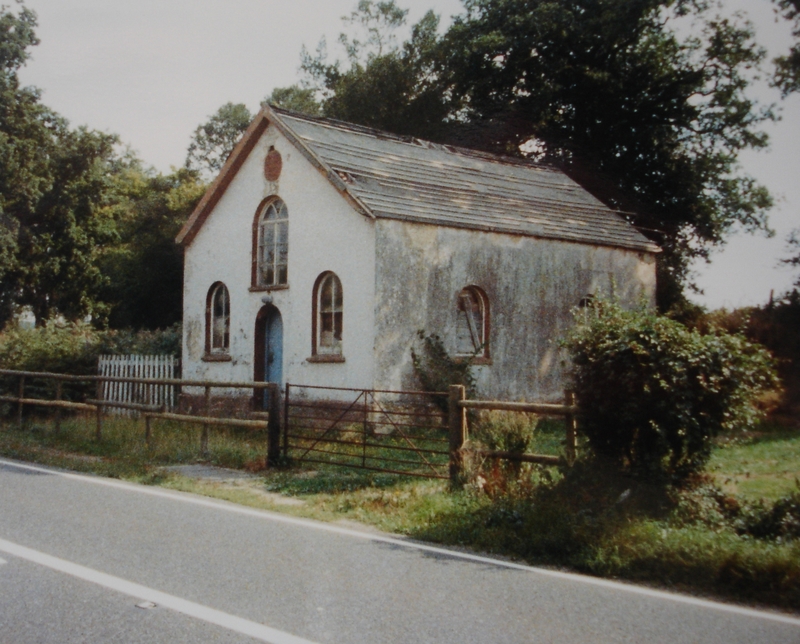 Bowyers Primitive Methodist chapel was opened in 1869 and served until 1977. At the time of Keith Guyler’s photograph in 1988 it was derelict. I do not know exactly where this chapel was; all I know is that it was part of the Petersfield, Liphook & Haslemere circuit and Bowyer’s Common is north east of Steep parish which is north of Petersfield. Can anyone track it down please?